The Cameo MOONFLOWER HP produces over 150 sharp, closely focused light beams for a stunning and space-filling lighting effect. A particularly powerful and durable 32 Watt Quad LED provides natural RGBW colours with high intensity. The convection- cooled device works almost noiselessly, and the usage time is virtually unlimited thanks to extremely low heat generation. 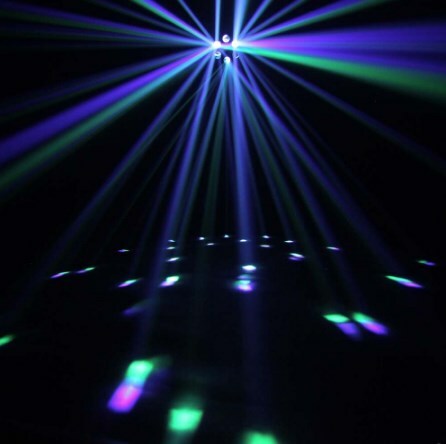 The MOONFLOWER HP can be operated in 2 or 5-channel DMX mode with features such as dimmer, strobe and rotation effects or as master, slave and standalone. To this end, automated programs and a microphone for sound control are integrated; the operation is simple and convenient via four buttons and a bright LED display. 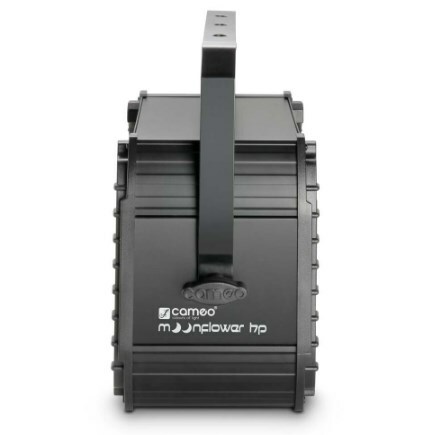 The sturdy black metal housing with an adjustable universal mounting bracket is equipped with 3-pin XLR connectors for input and looping of the DMX signal; IEC input and output sockets allow for parallel power supply of daisy chained devices. 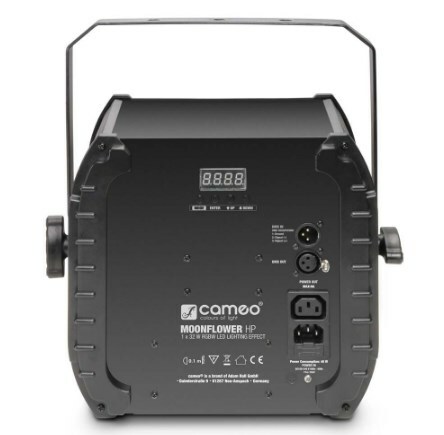 The Cameo MOONFLOWER HP is characterised not least by a low power consumption and works with all mains voltages from 100 to 240 volts.